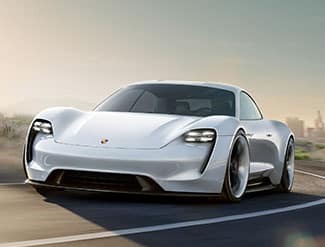 Reserve your Porsche Taycan today! The front. 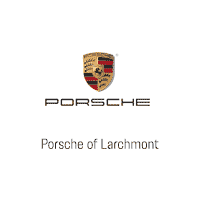 With its extremely flat hood section, clearly shows the familial ties to the Porsche 918 Spyder super sports car. 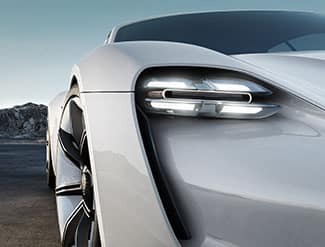 A stylistic and technical highlight of the front is the Matrix LED headlight units with integrated sensors for the assistance systems. The rear. 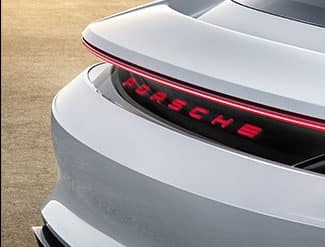 Also from the back, Taycan is immediately recognizable as a Porsche. The rear design combines a continuous light strip in sophisticated black glass finish, with functional elements picking up the flow-through theme. 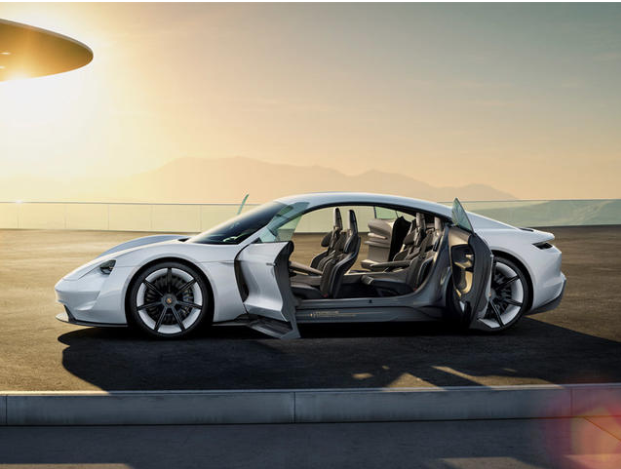 The vehicle cabin tapers towards the rear, giving way to prominent rear fenders. Exterior mirrors. Without mirrors. 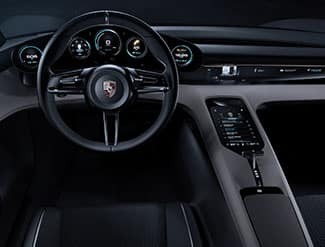 The virtual exterior mirrors are eye-catchers in the truest sense of the word: images from these cameras are reflected in the lower windshield corners. In this way the driver has a better view of the images as well as the surrounding area. Additionally, augmented safety information can be actively displayed here. Eye tracking. Menu navigation is controlled by eye tracking – in line with our operating philosophy of having instant access to essential functions. The system detects the considered instrument by camera. 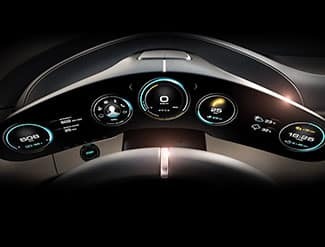 Now the driver activates the instrument menu on the steering wheel by pressing a button, giving access to the desired menu. It just takes another glance at the display to select a different round instrument. Confirmation is by hand. Everything works directly, quickly and intuitively. Dynamic display. 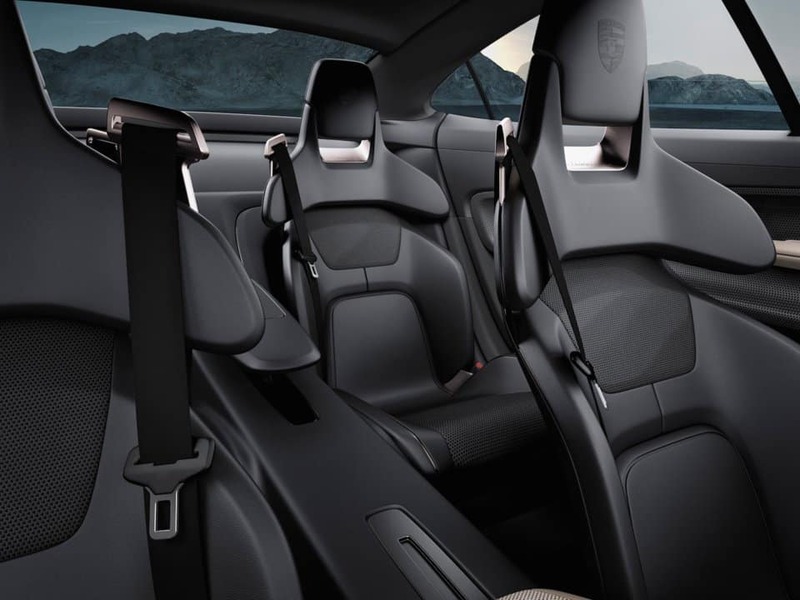 The display follows the sitting position and posture of the driver. As they move their position higher or lower, or lean to the side, the 3D representation of the instruments responds by moving with them. Inductive charging. Without cable, without plug, without “getting your hands dirty”. 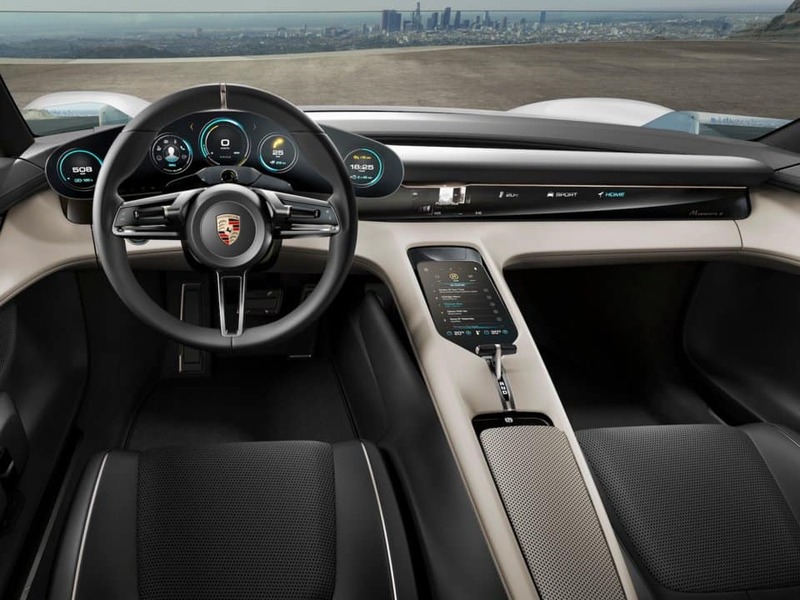 You comfortably drive over a base plate in your garage – an inductive charging of the battery begins. Fully automatically.